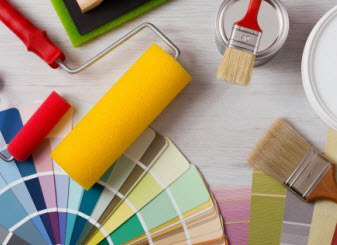 New York Painting Services is been hard at work gaining a positive reputation since 2004 among the commercial and residential property owners of New York and New Jersey. By incorporating friendly customer service, high morals, and traditional values to our superior craftsmanship, we have continued to commit to customers. We are fully licensed and insured to provide our professional expertise and services to the community at affordable rates. 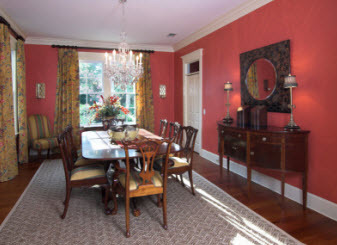 New York Painting Services artisans are more than qualified to perform the services we offer; having advanced training, experience in the industry, and elite skills. In addition to having the best in the business, we exclusively utilize premium quality materials, products, and equipment to ensure our valued customers receive nothing less than maximum results. Continuing to take the opportunity to provide customer service to our commercial and residential customers of New York and New Jersey, we have compiled a glossary of terms frequently used when professionals perform water damage services. Abatement: Abatement is used in reference to a lessening, diminution, reduction, or moderation. Air Mover: An air mover is a specialized industrial fan that expedites evaporation. Anti-Microbial: Killing microorganisms or to inhibit their growth, anti-microbial is a chemical agent. Biohazard: Biohazard labels biological materials that are a threat to the environment, humans, and animals. Black Mold: Black mold refers to dark or black colored mold; only a few species of black mold are toxic and harmful to humans and pets. Boroscope: To see inside wall cavities, ceilings, crawl spaces and other difficult areas, technicians depend on a boroscope, a hand held tool. Category I Water: Category I water classifies clean water from supply lines that does not pose any substantial threat to humans. Category II Water: Category II water is a classification for gray water that contains an increased amount of chemical, biological, or physical contaminants; consumption or exposure can cause discomfort or sickness. Category III Water: Category III water is a classification for black water which is severely contaminated and unsanitary, which normally contains harmful sewage, bacteria and fungi; consumption or exposure causes extreme discomfort and illness. Cross-Contamination: Physical or by air exchange, contamination is transferred from one area to another. Dehumidifier: A dehumidifier is a device that decreases the amount of moisture in the air. Professionals often use them in conjunction with air movers, to expedite the drying process in the structure, to minimize the risk of unwanted microbial growth. Decontamination: Using proper equipment, materials, and chemicals, decontamination is the process of cleansing an environment of harmful substances. Delamination: Failure or separation of layers for composite materials. Infrared Imaging: To detect the presence of moisture through variances in the infrared spectrum, technicians use an infrared imaging device, a specialized tool. Mold: A simple microorganism that has defined cell walls, lacks chlorophyll, and reproduces by spores. There are more than 100,000 known species of mold that that are identified around the world. Mold Remediation: Mold that has grown on structural and personal materials due to water damage, mold remediation is the removal, cleaning, and the treatment of that mold. Moisture Meter: Tool used to measure the moisture level within a structure and the drying process of affected materials. Mycotoxins: Produced by, mycotoxins are secondary metabolites that can cause illness and in some circumstances can be fatal in humans and animals. Personal Protective Equipment (PPE): Protective gear; gloves, respirators, eye goggles, and bunny suit, worn by professionals when remediating mold. 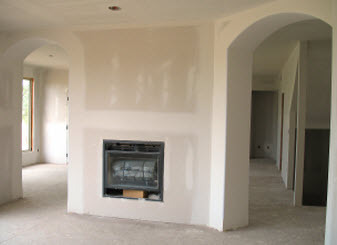 Reconstruction: Following damaged or destroyed structure, reconstruction is the rebuild of your home or business. Salvageable/Non-Salvageable: Describing the materials or property that can be saved or that is unable to be saved from the destruction or loss. Source Sampling: Source sampling or surface sampling is the application of taking a surface sample using a swap, slide, or tape and submitting it for analysis to check for allergens, mold, dust and other particulates. Stachybotrys: Stachybotrys is a black mold with a velvet or cottony texture that grows rapidly and matures in 5 days. In the beginning stages it appears white, but turns black quickly. Human and animal exposure is harmful. Water Damage: Intruding water that causes structural and material deterioration, damage, and loss. Water Extraction: Water extraction is the process of removing water from any source. Water Damage Restoration: Through water extraction and structural drying, water damage restoration is the process of returning property or dwelling to its pre-damaged state.